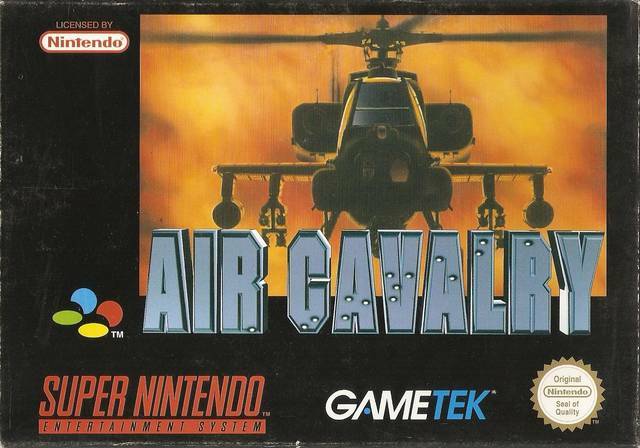 Air Cavalry for Super Nintendo is a helicopter flight game set in the Middle East, Central America and Indonesia. There are four different helicopters to choose from to complete your missions with three different campaign theater. Practice mode is available as well to sharpen up your skills.